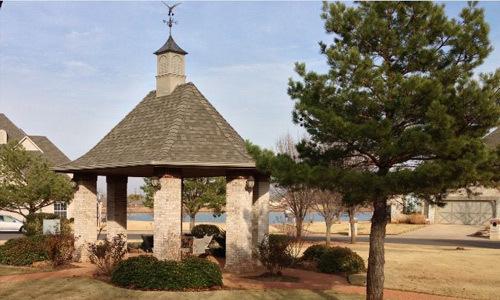 Summit Lake Villas is a gated townhome community around Summit Lake in Norman, Oklahoma. Our community features classically designed townhomes set in a picturesque setting with open spaces and shimmering lakes. Summit Lake Villas is located off Alameda Ave. , east of SE 24th Street in Norman, Oklahoma.